As you view this Blog and the Source to the Black Power Flag aka RBG Flag, notice it was piggy backed from the BRG Flags of the Mahdi of the eastern Sudan, Africa. Yes, sir I say “eastern” because the Sudan also extended to West Africa where a majority of African Americans have ancestry. From the Negroes proper o f the Sudan have descended most American Negroes, according to the U.S. Immigration Commission Dictionary of Races or Peoples Right now in response to the parading of LGTB community Flag many African Americans in response have posted up the Black, Red and Green Flag as a symbol representing Black Liberation and the call to Freedom liberty and justice..ultimately un-aware that it derives from the Sudanese Moors. Before Garvey and Pan Africanism The Red Black and Green Flew in Islamic Sudan, by the Mahdi G.W. Stevens in his With Kitchener to Khartoum refers to a few Mahdist flags. At the battle of Omdurman, he mentions the “black banner of the Kahlifa’s brother” and the “blue and white banners of his son”. Khalifa Abduallah el Taashi was successor to the Mahdi. War artist H.C. Seppings Wright (who was at the battle of Ombdurman, I think) has done a painting of the aftermath of the massacre in which the dead Mahdists are still holding upright the Kahlifa’s black flag. T.F. Mills, 06 Aug 1996 I have a copy of a letter dated 11 September 1952 from the Sudan Government Civil Secretary’s Office, Public Relations Branch to Dr Ottried Neubecker with a drawing of the Mahdists’ flag hoisted over the party headquarters. Not many African Americans know that because they are mostly educated by Christians or Pan Africanist who withold the history of their Islamic Heritage. For example, most have never heard of Pan Africanism’s Father Edward Blyden and wrongly assume that Marcus Garvey is the father of Pan Africanism, this is no mistake and its by design because many Pan Afriacnist know that the father of Pan Africanism was a Muslim, that’s right Edward Blyden converted to Islam after coming up with Pan Africanism and he found Islam to be better for the African American and African people in general. Yes that’s right American Black Man and Woman the Black Red and Green flag you inherited originates not with Garvey, Pan Africanism originates not with Garvey, much respect to Garvey for his works, but the Flag bearing the Black, Red and Green originates with the Moors, first flow in the battles led by Muhammad Ahmad bin Abd Allah (Arabic: محمد أحمد ابن عبد الله) (August 12, 1844 – June 22, 1885) was a leader of the Samaniyya order in Sudan who, on June 29, 1881, proclaimed himself the Mahdi (or Madhi), the messianic redeemer of the Islamicfaith. 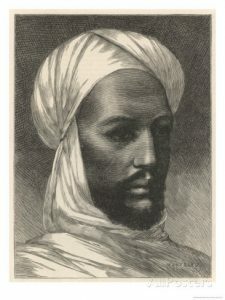 More broadly, the Mahdiyya, as Muhammad Ahmad’s movement was called, was influenced by earlier Mahdist movements in West Africa. From his announcement of the Mahdiyya in June 1881 until the fall of Khartoum in January 1885, Muhammad Ahmad led asuccessful military campaign against the Turco-Egyptian government of the Sudan (known as the Turkiyah). During this period, many of the theological and political doctrines of the Mahdiyya were established and promulgated among the growing ranks of the Mahdi’s supporters, the Ansars. A siege by the Mahdist forces started on 18 March 1884. The Briti sh had decided to abandon the Sudan, but it was clear that Gordon had other plans, and the public increasingly called for a relief expedition. It was not until August that the government decided to take steps to relieve Gordon, and only by November was the British relief force, called the Nile Expedition, or, more popularly, the Khartoum Relief Expedition or Gordon Relief Expedition (a title that Gordon strongly deprecated), under the command of Field Marshal Garnet Wolseley, ready. A siege by the Mahdist forces started on 18 March 1884. 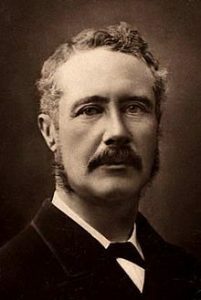 The British had decided to abandon the Sudan, but it was clear that Gordon had other plans, and the public increasingly called for a relief expedition. It was not until August that the government decided to take steps to relieve Gordon, and only by November was the British relief force, called the Nile Expedition, or, more popularly, the Khartoum Relief Expedition or Gordon Relief Expedition (a title that Gordon strongly deprecated), under the command of Field Marshal Garnet Wolseley, ready. Why do African Americans support a religion that endorses Slavery and whose principle exponents, the gulf states had several thousand African slaves right up until the 1960s?